Hot Kia Rio considered | What Car? Kia is considering a hot version of its Kia Rio, as a rival to cars such as the Ford Fiesta ST. 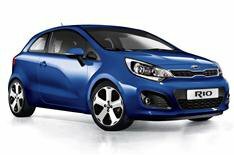 The hot Rio would join the 200bhp Kia Ceed, which is expected to be launched in 2014.